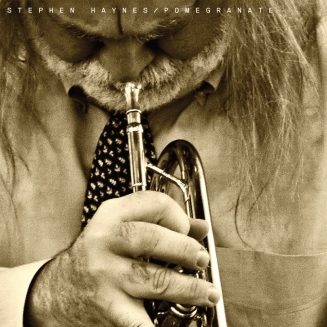 Cornetist Stephen Haynes' new album Pomegranate is a natural expansion of his work with his core trio, debuting in The Double Trio Live at the Festival of New Trumpet Music and continuing with Parrhesia (Engine, 2008 and 2010). It is also a tribute to Haynes’ mentor and about 40-years collaborator, master trumpeter Bill Dixon (Haynes played on Dixon last albums: 17 Musicians in Search for a Sound: Darfur, Aum fidelity, 2008; Tapestries for Small Orchestra, Firehouse 12, 2009; Envoi, Les Disques Victo, 2011). Dixon left specific instructions with regards to tributes: “If you want to pay tribute to me, you should (be) do (ing) your own works”. 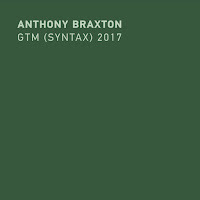 And as in the major works of Dixon it is mainly a communal, poetic sonic reflection about creating sound and feeding from sound; sound as an ever-changing, elusive entity; sound as something that resonates deeply in our souls open us to new experiences and sensations. Haynes relies on the immediate interplay that is already have been solidified with his trio - guitarist Joe Morris and percussionist Warren Smith and augments the trio with double bass player William Parker and tuba player Ben Stapp. 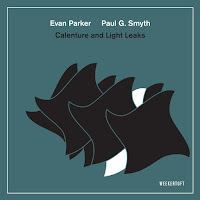 The addition of Parker and Stapp deepens the low end sound of the quintet, still, the percolating percussive touches of Smith, the subtle, muted blows of Haynes and Morris wise, angular lines keep it light and dynamic, defying any attempt to categorizes it. Haynes set the atmosphere for this new formed quintet to play as a democratic unit, with enough freedom to any musicians to alter the course of the music. Pomegranate is developed as suite. 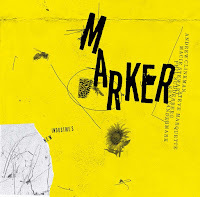 It opens with the slow “Sillage” where Parker's dark bowed bass envelops the investigative, contemplative dynamics. It is followed by the African-tinged “Mangui Fii Reek (I am Still Here)”, where the unique telepathic understanding between Haynes and Morris shines, both continuing each other ideas even before they are fully formed. Later on the title piece Haynes and Parker share a dense, conversational interplay, beautifully intuitive and open-ended, shifting fast between moods and colors. The 17-minutes “Becoming” is a communal meditation on sounds and shifting dynamics, even Gamelan-sounding ones. The group returns to an African dance mode on “Crepuscular”, anchored by Parker and Smith hypnotic pulse. Only on the closing “Odysseus (Lashed to the Mast)” the accumulated energy of the group explodes with fast, fiery playing of all, transforming sounds into a means of release and freedom. 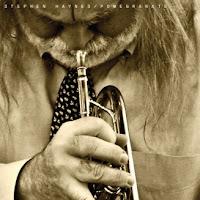 Trumpet and cornet player Stephen Haynes is one of those highly under-recorded musicians, but also a person who has great admiration for many other musicians, and lots of performance activities in various bands, and possibly all this leads to a humility which reduces his own published output. But when he does release music, it is of the best possible kind : high quality, strong musical vision and always in the company of great musicians. That was the case with "The Double Trio" from 2008, and "Parrhesia" from 2010, two easy to recommend albums. 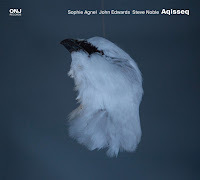 On "Pomegranate", we find him again in the presence of Joe Morris on guitar and Warren Smith on drums and marimba, but with the addition of Ben Stapp on tuba and William Parker on bass. Quite a band! 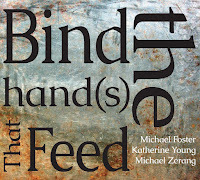 Like in "Parrhesia", Haynes creates very light textures, with one or two instruments interacting, with precision and attention to the quality of the sound, with attention to little details. The musicians use their instruments also in a very sparse way. No sound is superfluous, no sound is a commodity, but they are all valuable elements in setting up the larger picture, a picture that is profound, both spiritually and emotionally, and a picture that despite its high level of improvisational abstraction is still extremely lyrical. And even when the trio has added bass and tuba to anchor the sound a little bit more, this does not increase the density of the sound, and at times even accentuate its apparent weightlessness. The album is dedicated to Bill Dixon, Haynes' teacher, mentor and friend for many years. "Sillage" starts with a deep almost primeval sound of bowed bass, tuba and drums, conjuring up sounds that defy categorisation, non-linear, dissonant, a-rhythmic, yet organically growing towards each other, growling as if something is coming to life. "Mangui Fii Reek" is based on an African rhythm, solidly anchored by William Parker's bass, joyfully joined by sparse and fresh guitar chords and piercing trumpet tones, supported by rhythmic little percussion by Smith, but all of this in a very soft-spoken way, almost without weight despite the explicit rhythm, flowing forward naturally and gently. "Pomegranate" is clearly written with Bill Dixon in mind, Haynes' long-time teacher and musical colleague and friend, with trumpet blasts that are short and determined, opening up the music to new possibilities also from the other musicians, leading to free form intensity. Bill Dixon had a certain austerity in his tone, which Stephen Haynes doesn't have. "Becoming" a long and meandering song, with some trumpet sounds that are reminiscent of Lester Bowie, as is the case on "Crepuscular", which sounds again quiet and African, with William Parker Parker playing a steady vamp, supported by Smith on marimba and the trumpet sounds just marvellous, as is Joe Morris' precise playing. "Odysseus" is intense, evocating the struggle of the Greek hero tied to the mast of his ship upon his own request so that he can listen to the sirens without risking his life. Wow, I listened to this album a lot, and I will continue to do so. Its approach is innovative because of its highly open-textured and lightfooted nature, the tight interaction between five musicians who know exactly what do in this specific context, demonstrating the versatility of their skills, yet the real kudos should go to Stephen Haynes himself, not only for his superb playing but for his musical vision, which is all his own - despite the Bill Dixon tribute aspect - and his skill to have the other four musicians on the same wavelength to deliver this vision with such clarity and beauty. This CD has been on and off my player for the last couple of weeks and I absolutely love it. There is a quiet, mysterious, almost hypnotic air about the recording that really appeals to me and I sincerely hope this is the beginning of a higher profile for Stephen Haynes. Apart from the dreadful spoken word on the track "Yet And Still" the earlier CD (Parrhesia) is also highly recommended listening. I've been a huge Dixon fan for a long time, and became aware of Stephen Haynes through his appearances on Dixon's late albums. I didn't fully appreciate just how striking his playing was until I saw him live a few times. Even surrounded by legends like Morris or Evan Parker, it's hard not to have your focus drawn to Haynes' remarkably thoughtful approach. So glad that he's able to get more of his own music out into the world.